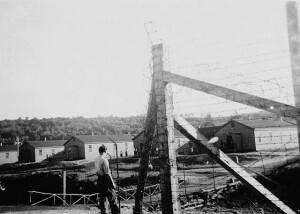 Quebec internment camp, 1940. LAC. Now 84, Myron’s recounting of the internment years and the impact on his family and community serves as a powerful reminder of the fragility of civil liberties and human rights. His story is part of a larger, complex—and contested—conversation on civilian internment in Canada. Internment has affected, during times of war and perceived war, persons from a variety of political backgrounds and ethnocultural communities, with the most well-known being the internments of those of Japanese, Ukrainian, and Italian descent. Experiences of arrest, internment, and displacement remain deeply felt by former internees and their kin. Release papers. 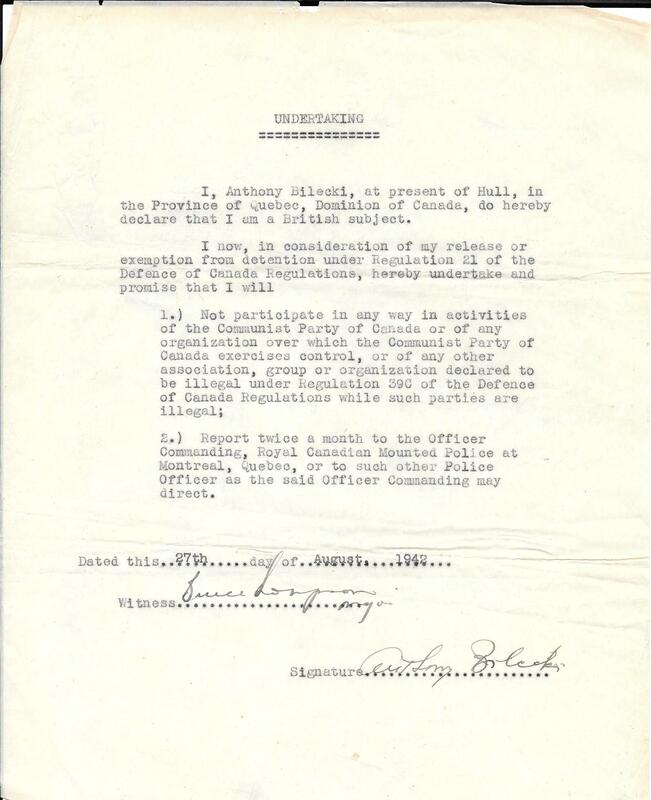 Shatulsky and other leftist internees were expected to abide by strict conditions once released. AUUC Archives. In an effort to seize on current interest and expand the civilian internment conversation in important new critical and cross-cultural directions, Jim Mochoruk and I have been working with the Canadian Society for Ukrainian Labour Research to organize a national workshop on civilian internment in Canada for next June in Winnipeg, Manitoba. Our intention is to bring together community members, scholars, activists, public history professionals, educators, artists, and others with an interest in or experience with internment (including, for example, former internees, their descendants, and redress activists, among others). In many ways, the need for this sort of dialogue is becoming more urgent, as former internees and other eyewitnesses age and pass on. We are presently seeking workshop participants, and our deadline for proposals is December 1st. Through the workshop, we’re looking to create greater—and more nuanced—public awareness of the processes and consequences of civilian internment. It is our hope to spur discussion on the connections, comparisons, contrasts, and continuities between the various civilian internment episodes in Canada, historically and into the present. Typically these events have been considered in isolation from one another; we’re hoping the workshop will help to encourage more comparative conversations. As an important part of this, we are looking to expand the parameters of the discussion to include topics related to the experiences of Conscientious Objectors (Mennonites and others), the October Crisis, the War on Terror, and the detention of people without charge during events such as the APEC protests at UBC, the Summit of the Americas in Quebec City, and the G20 in Toronto. 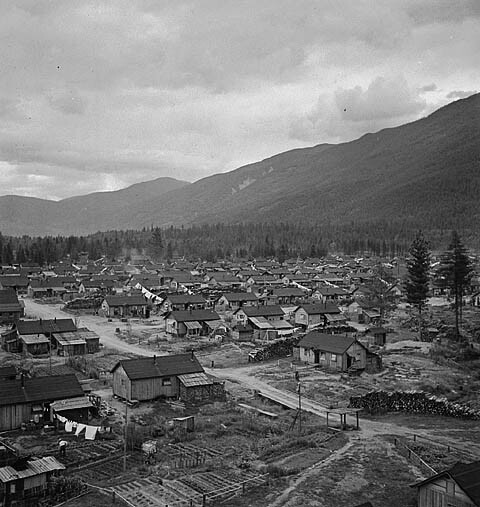 BC Camp for Japanese Canadians, 1945. LAC. Over the past four decades, the topic of wartime civilian internment has received considerable attention. The result has been, among other outcomes, a dynamic body of information – scholarly and popular – manifest in books, films, museum exhibitions, historic sites, and artwork. Interest remains keen, and examples of new and innovative initiatives abound. An important SSHRC-funded project, Landscapes of Injustice, is underway, examining the displacement of Japanese Canadians during the Second World War. At the 2014 meeting of the Canadian Historical Association, a panel on internment, of which I had the good fortune to be a part, was well-attended, and delivery of our papers was followed by a lively Q&A period. Over the summer, 100 plaques were unveiled across Canada to mark the internment of Ukrainians and others during the First World War. This fall, I’ve been teaching an undergraduate course on transnational internment history. That Brandon, Manitoba was home to one of the WWI camps has made class discussions more personal; our campus is within easy walking distance of the former site. Ukrainian Labour Temple. AUCC Archives. 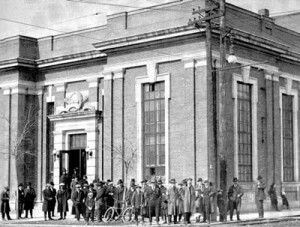 The majority of workshop events will take place at Winnipeg’s Ukrainian Labour Temple, a national historic site and itself an artifact of the World War II internment of leftists and pro-Communists like Matthew Shatulsky. Concurrent with the arrest of Matthew and his contemporaries, federal authorities confiscated and closed the hall (along with other pro-Communist properties across Canada), denying the community access for much of the duration of the war. The workshop will act as the foundation of a peer-reviewed, edited collection of personal reminiscences, original academic articles, and primary source materials (such as letters, photographs, newspaper articles, government documents, oral histories) that together will offer a broad and accessible perspective on the history of civilian internment in Canada. By organizing this workshop and publishing this collection, we hope to increase awareness, capture the voices of internees and their descendants before it is too late, and add to a conversation that is very important to have. Rhonda L. Hinther is Associate Professor of History at Brandon University and co-editor of the University of Manitoba Press Human Rights and Social Justice Series. Building on her past work on the Ukrainian left in Canada, she is presently researching the experiences of WWII-era leftist internees (of a variety of ethnic backgrounds) and those who fought for their release. 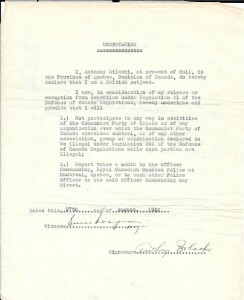 For more information on the project, please visit the Civilian Internment in Canada: Histories and Legacies blog. Ian Radforth, “Political Prisoners: The Communist Internees,” in Enemies Within: Italian and Other Internees in Canada and Abroad, edited by Franca Iacovetta, Roberto Perin, and Angelo Principe. Toronto; Buffalo: University of Toronto Press, 2000. Whitaker, Reg. “Official Repression of Communism During World War II.” Labour / Le Travail 17 (1986). 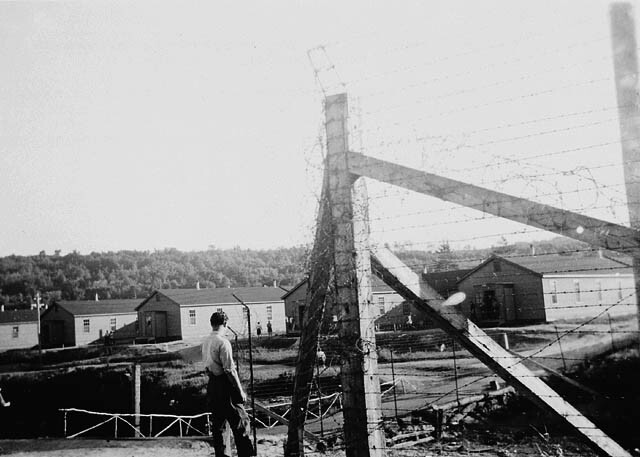 Ben Swankey, “Reflections of a Communist: Canadian Internment Camps.” Alberta History 30, no. 2 (April 1982). Peter Krawchuk, Interned Without Cause. Toronto, Canada: Kobzar Pub. Co., 1985. William Repka and Kathleen M Repka, Dangerous Patriots: Canada’s Unknown Prisoners of War. Vancouver, B.C. : New Star Books, 1982.